Spring is here, and so are the 1,000 trees I purchased to plant here at Strawberry Moon. Of course, my favorite digging tool broke after planting the first 50 trees. It shouldn’t have been a surprise. I bought that spading fork before I knew what made a good, durable tool. 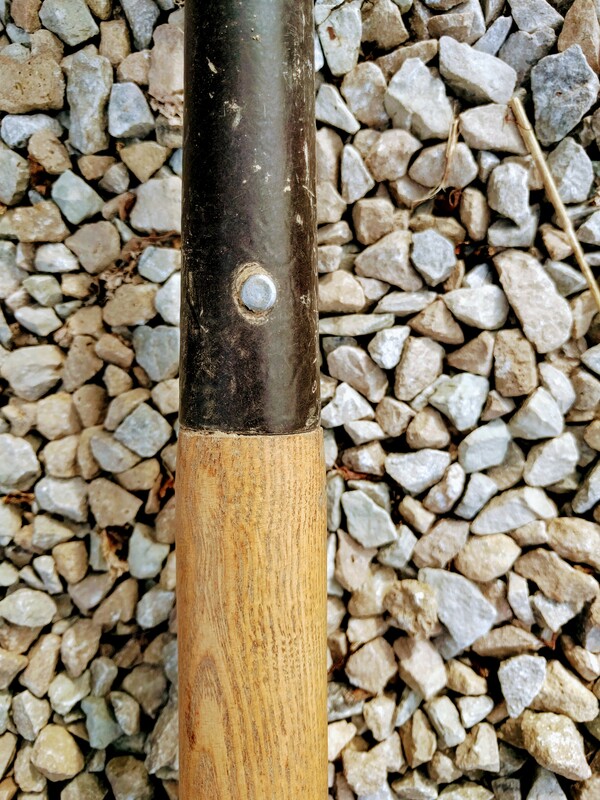 It’s not the first tool that has perished at the hands of my Indiana clay soil. 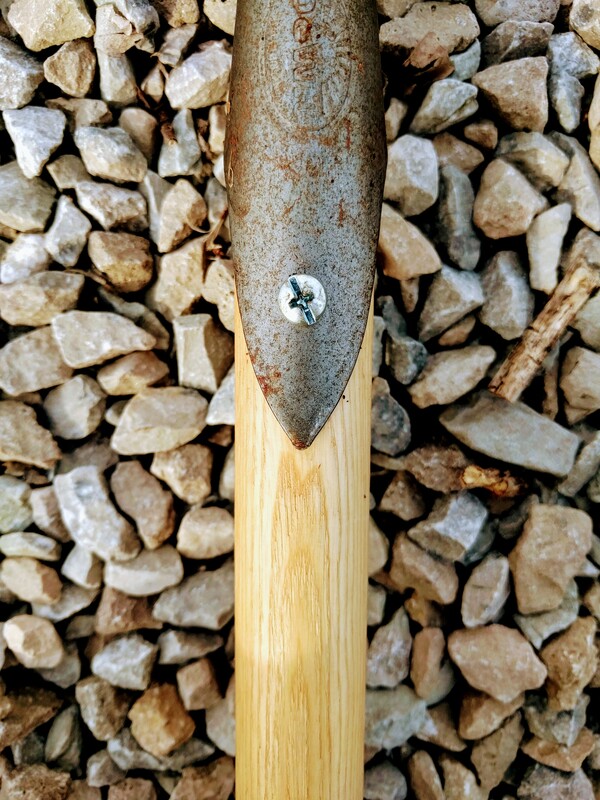 I broke my first garden tool in my second year of growing. It was a hoe. The metal hoe flew off the wooden handle, and that was that. Nothing I tried could reattach the handle securely enough for it to function as a hoe again*. 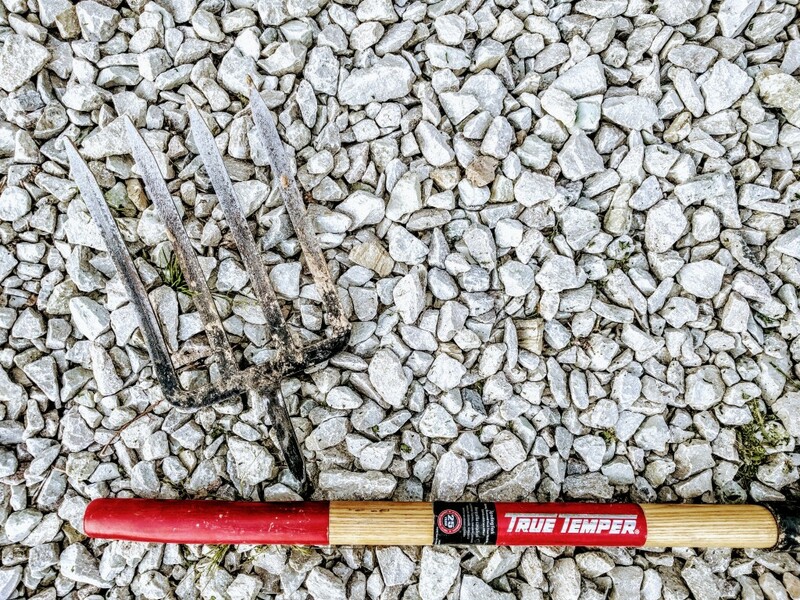 Since then, there have been many other casualties of the trade: leaky cheap hoses, cracked plastic watering cans, bent cultivator tines and splintered wooden handles. 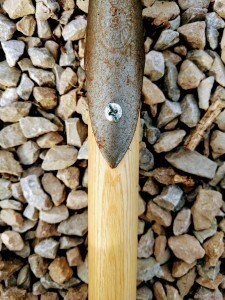 Poorly made tools waste your time and your money, waste our precious natural resources, and could even cause injury. I understood this then as well as now. Some of these broken tools came with lengthy warranties, none of them were the cheapest tool at the box store, and they all looked and felt sturdy at the time. So if you are willing to shell out the extra cash for a top of the line tool, how do you find the right one? How can you tell if a tool is really built to last a lifetime, or just overpriced to give the illusion of quality? Here are some criteria I’ve found to be important in choosing my tools. 1. The #1 most common problem I have experienced with long handled tools is that the handle separates from the metal tool head. When choosing a new tool, look at the attachment between the handle and the metal implement. If you see that the metal is crimped around a handle and expected to stay on by tension alone, don’t buy the tool! Buy one that is attached with removable screws, or all one piece. Not only is this type of connection more secure, but it is user serviceable. If that handle detaches or breaks, you can replace the handle without having to buy a whole new tool. This tool head is not sufficiently attached to the handle. The handle will separate from the head. Even if you manage to reattach it, the same problem will likely reoccur repeatedly. This tool head is securely attached to the handle with a rivet fastener, but if the handle rots or breaks, it may be more difficult to remove the rivet than a simple screw or bolt. However, I am told it can be done. This tool head is securely attached to the handle with a removable screw. It should stay securely attached, and if the handle does break, another can be easily installed. 2. Look for good quality metal. Research the type of metal used in the tool you are considering to find out if it’s strong enough to resist bending and denting, reasonably easy to sharpen, and able to hold a sharp edge well. Hoes, knives, spades, and scythes all require periodic sharpening to perform their best. 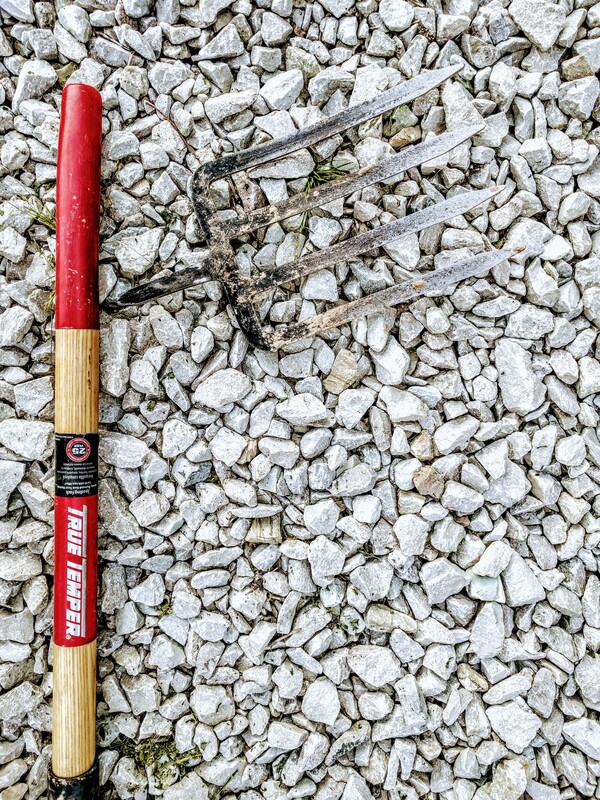 Hand cultivators and spading forks should be thick and very strong. All metal tools should be reasonably rust resistant. Care for your metal tools by keeping them clean and dry. If light rust does occur, you can scrub it away and apply oil to prevent it from returning. 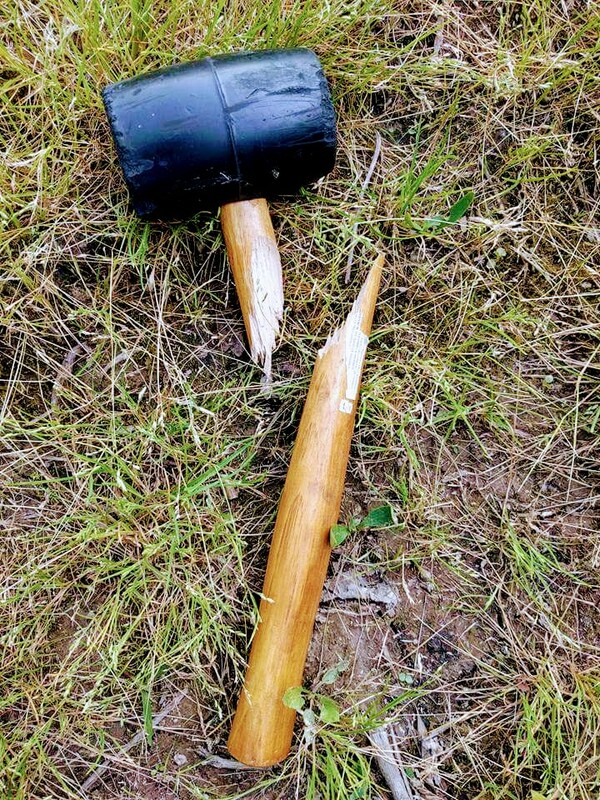 I bet this never happened to Thor’s hammer. 3. The handle must be strong. 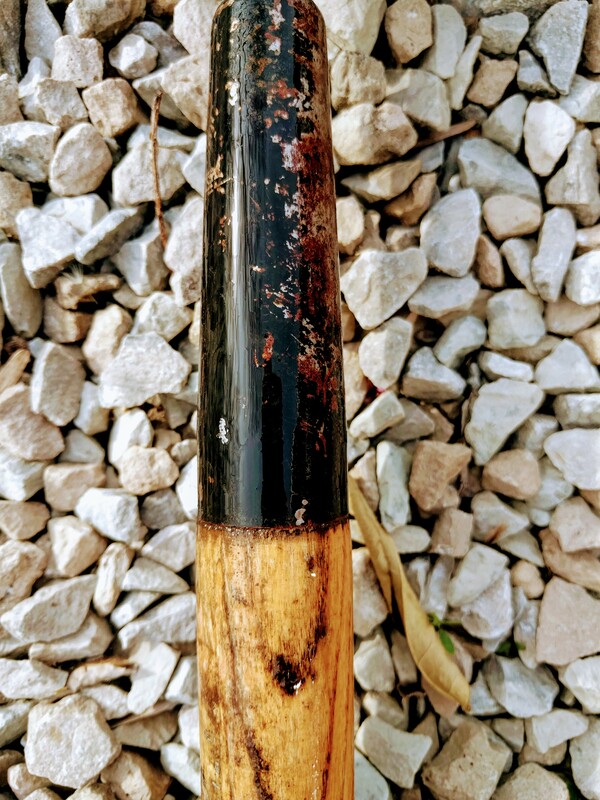 I once bought a rubber mallet with a cheap wooden handle. Eventually, the handle broke in half, rendering the entire tool useless. If you are buying a tool with a wooden handle, Ash is the ideal wood. It’s what baseball bats are made of. When buying knives, look for a full tang (the blade runs through the entire length of the handle as one solid piece of metal). Care for your wooden handles by rubbing them with walnut oil or mineral oil annually or more frequently as needed. 4. Ergonomic design is also extremely important for any tool you will use regularly. Is the tool comfortable to hold? Does it utilize your biggest muscle groups (arms rather than wrists, legs rather than back)? Can it be used in multiple positions to prevent overuse injuries? Can it be used while your back is straight? Protect your body. It’s the best tool you have, and it’s irreplaceable. 5. Company reputation and warranty sometimes indicate long lasting products. If a company has been in business a long time, has a good reputation, and stands by their products with a 10 year or longer warranty, then they probably made a good tool. That said, the broken spading fork that inspired this article came with a 25 year warranty, and only lasted a few seasons. It appears to have been attached by setting the metal “stem” in some sort of resin or concrete-like substance. The molded base cracked, setting the fork free from the handle. Yet another decapitation victim! So while a long warranty period is definitely a good sign, it’s not necessarily a guarantee that the tool will last. You probably won’t find any top quality tools at your local box store, and I haven’t had much luck at my local garden centers either. If you’re lucky enough to live near a hand tool specialty store like Earth Tools**, then you’ll be able to try out various high quality tools in the store, and ask the experts your questions. Farm and garden conventions also often offer a nice selection of hand tools in the vendor hall, and of course pretty much everything is available online. There are a lot of great brands out there, but I’ve become somewhat smitten with the DeWit** line. They have some really inventive designs, and the quality seems to be top notch. I’ve only been using their tools for a year, but I haven’t managed to break one yet. Regarding the aforementioned plastic watering can, I replaced it with a nice metal one by Haws**. I’m so far extremely pleased with the build quality and ergonomic aspects, but time will tell if it was actually worth the exorbitant price tag. I don’t consider myself an expert on hoses yet, but in general, the really heavy, thick ones last a lot longer than the lightweight flimsy ones. 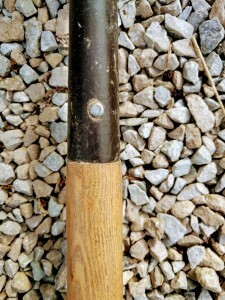 *I threw that broken hoe into the trash can at the community garden space, and a fellow gardener rescued it and reattached the head by welding. So if you have welding equipment, a detached tool head might not be the end of the day for you! I still recommend the screw attachment heads, because a projectile hoe head can be dangerous and decidedly inconvenient. **Suggestions, NOT affiliate links. I was hesitant to include any links because I’m not here to sell you stuff, but I thought they might really be useful to you. Live your life according to your own purpose, think for yourself, own your own choices, and shop wherever you want.